A service which provides free support for people in an emotional or mental health crisis is preparing to celebrate its first Christmas and New Year, with staff ready to help local people throughout the festive break. 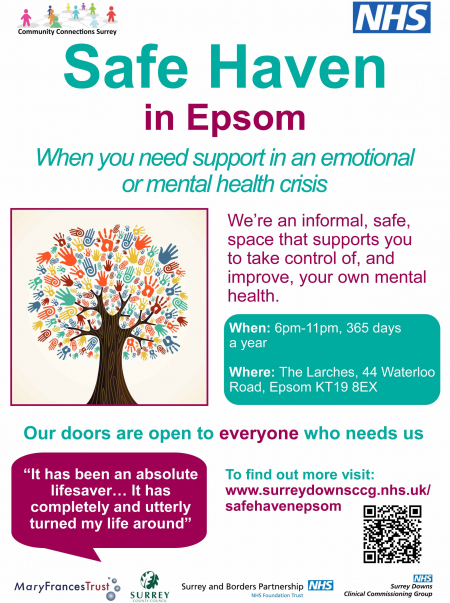 The Safe Haven in Epsom is one of six across Surrey which have an open door for people looking for someone to talk to, or a space to meet people who are going through a similar emotional or mental health crisis. Developed in partnership with NHS Surrey Downs Clinical Commissioning Group, the Mary Frances Trust, Surrey and Borders Partnership NHS Foundation Trust and Surrey County Council, the service will be there throughout the festive period as uniquely, it’s open 365 days a year between 6pm and 11pm. 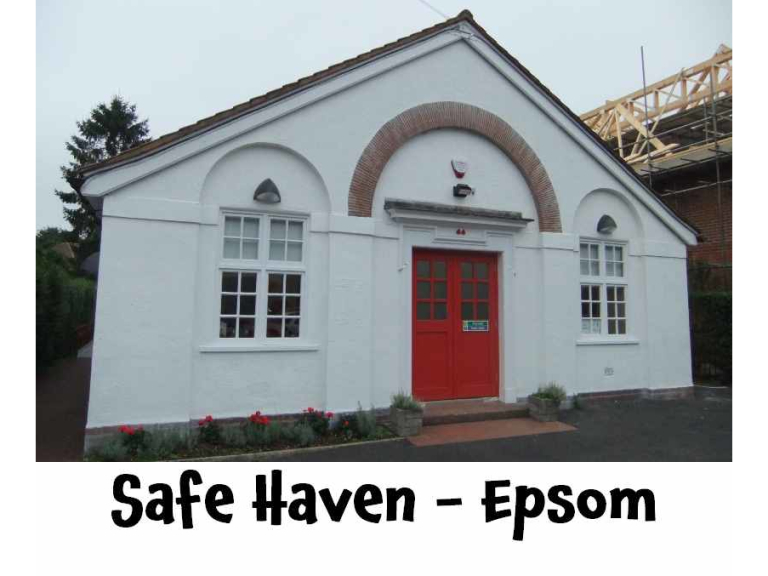 Located at The Larches, 44 Waterloo Road, Epsom KT19 8EX, Safe Haven has been open since March 2016 and has received visits from almost 200 people. And whilst based in Epsom, Safe Haven is open to all local people, even those visiting the area for Christmas – who will be welcomed with a hot drink and can remain anonymous during their visit if they would prefer.